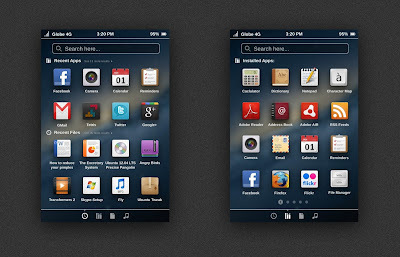 Christian Jabasa has designed a very interesting mockup for Ubuntu Phone using core elements of Unity interface like lenses, global search bar and Zeitgeist based event system for recent files and apps. 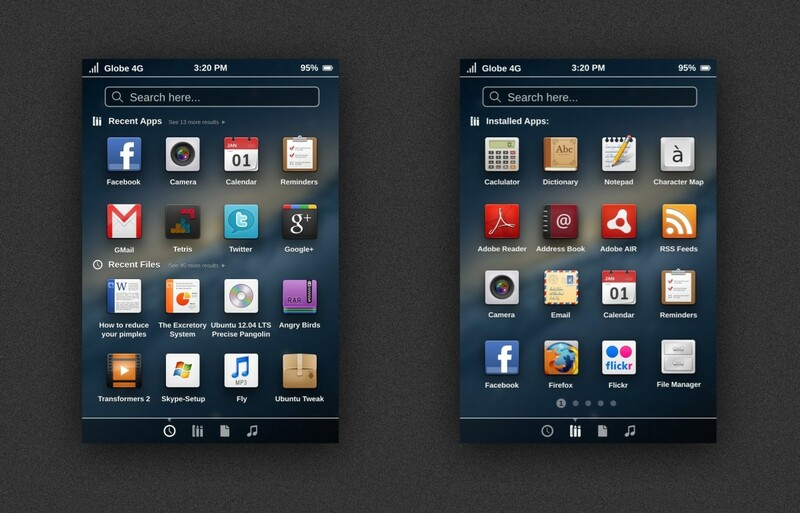 The concept has similarities with iOS but it does look neat with Unity lenses. Faenza icon set has been used instead of default Humanity icons. A two finger swipe can be used to switch between home, apps and other lenses. SVG files for the mockup can be downloaded from here.